Mucus, you fickle fiend—usually, you’re there keeping us safe from whatever nasties sneak inside of us. But then you turn, becoming a source of discomfort, canceled plans, and overall malaise. How I wish we knew you better. I’m far from the only one with this opinion, and a team of scientists has now published a study analyzing the chemistry of mucus with the hope of finding better ways to clear it. But while their results could lead to therapies for common cold-induced discomfort, they could more importantly help those with severe diseases like chronic obstructive pulmonary disease (COPD) and cystic fibrosis. You’re likely aware of mucus’ main function: it protects certain regions, like the lungs, from infectious pathogens. When you get sick, your body produces more of it, which is a feature, not a bug, in order to clear more of those agents. An otherwise healthy individual can easily swallow that mucus (neutralizing the invaders) or spit it out. But in folks with cystic fibrosis, a mutation in a gene changes an associated protein, resulting in some secretions, like mucus, becoming too concentrated and sticky. That comes with consequences such as a shorter life expectancy and an overall decreased quality of life. Button and the other researchers studied what it is about mucus’ chemistry that makes it stick to cells, or adhere, and stick to itself, or cohere. Think about stepping on gum: adhesion makes it stick to your shoe, which cohesion keeps it stringy. They observed how chemical properties like pH (or how acidic the environment was) and the mucus concentration affected the mucus’ overall stickiness. 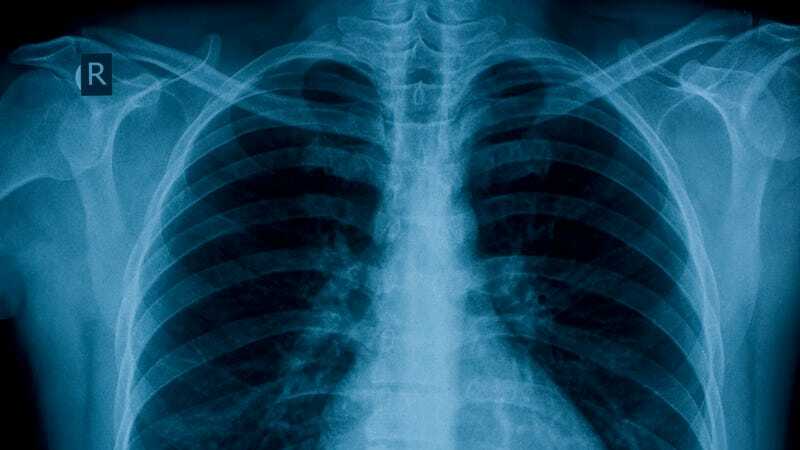 The researchers harvested mucus samples from cultured cells of both healthy patients and patients with cystic fibrosis. They also took anonymous samples from donors. They performed a peel test on the mucus by sticking it between cells in culture, along with their mucus-clearing hairs called cilia, and a cellulose mesh. They measured how the mucus stuck to both the cells and itself. These tests found that the mucus was stickier at higher concentrations, according to the study published in the Proceedings of the National Academies of Science. Plus, the faster they tried to pull the mucus off of the surface, the more force they needed to apply in order to move it. Acidity did not seem to have an effect on the mucus’ stickiness, as some previously thought. That all might sound sound intuitive, but it isn’t. Cough medicines generally don’t thin the mucus, explained Bruce Rubin, professor and chair of the Pediatrics Department at the Virginia Commonwealth University School of Medicine, who was not involved in the study. He explained that scientists previously thought thickening the mucus would make it easier to expel—most people would say it’s easier to shoot a solid pea out of a peashooter than to shoot runny pea soup. But if the mucus gets stickier when it’s more concentrated, then diluting the mucus would in fact make it easier to clear. Rubin had previously studied the adhesive and cohesive properties of mucus, but told Gizmodo he was “delighted” to read this study, given its sophisticated deeper dive into the chemistry of mucus. Perhaps this knowledge will lead to a new therapy, study author Michael Rubinstein, professor of mechanical engineering and materials science at Duke University, told Gizmodo. He suggested hunting for a drug that would first dilute the mucus and reduce its stickiness, then break it into smaller pieces, to bring it closer to its usual adhesive and cohesive strength. These advances would perhaps carry over to help people clogged up from more common ailments, like the cold, said Rubin. Should You Really Be Blowing Your Nose Like That? Why Do You Hate The Word Moist? Science.